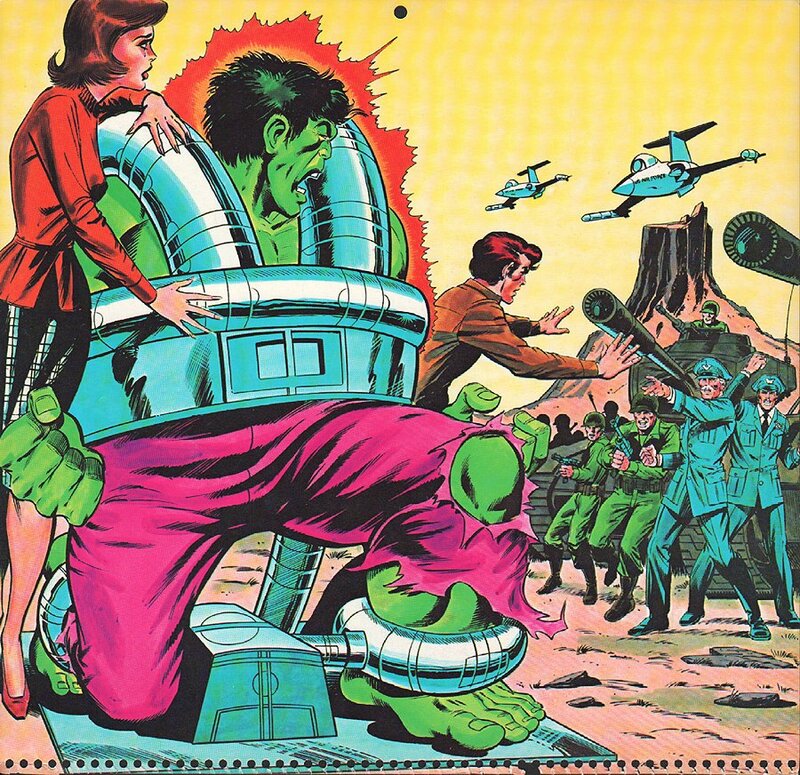 Click Here To See Actual 1978 Hulk Calendar Page! 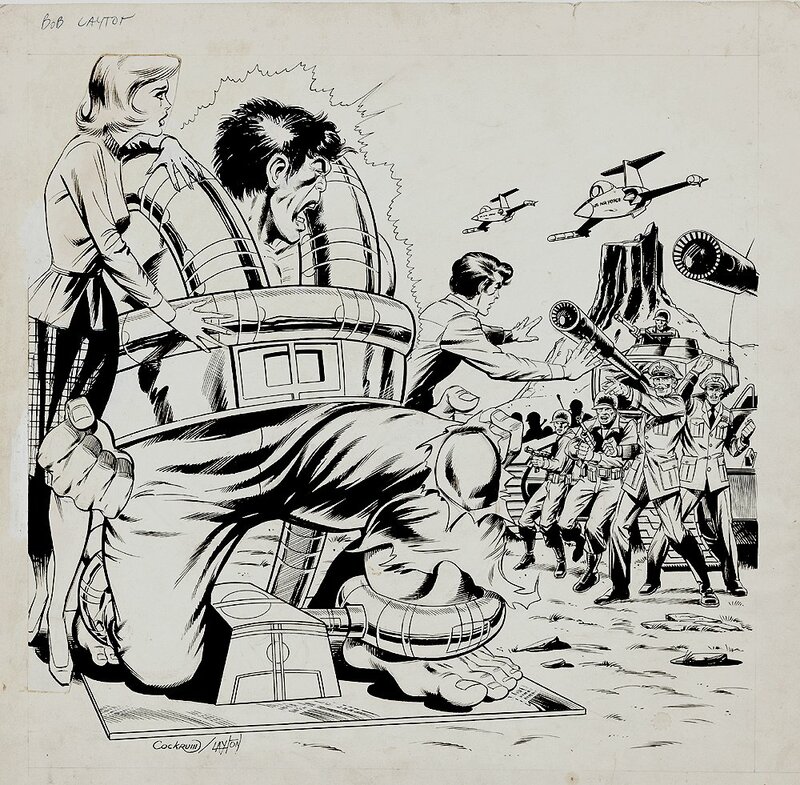 Betty Ross and Rick Jones do their best to protect a shackled Hulk against General Thunderbolt Ross, Major Glen Talbot and their squad of soldiers, tanks, and jet planes, in this ultra-cool illustration. The Marvel calendars were always a lot of fun to own and collect, with images found nowhere else. The Actual PUBLISHED calendar month can be seen in red link above and is included with the sale of this great art! The Actual art image area measures 17.5 by 17 inches on 19.5 by 19 inch art board. The Betty Ross figure is a photostat covering an Original drawing of her that was drawn smaller. The original artwork from these great Marvel calendars doesn't come up that often, so don't miss this chance, True Believers! ALL art on our website (including this one) are able to be purchased with VERY fair time payments, and trades are always considered towards "ANY" art on our website! Just send us an email to mikeburkey@aol.com and we can try to work something out.